This salad was inspired by a friend of mine. 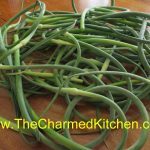 We had been talking about garlic scapes and ways to cook with them. 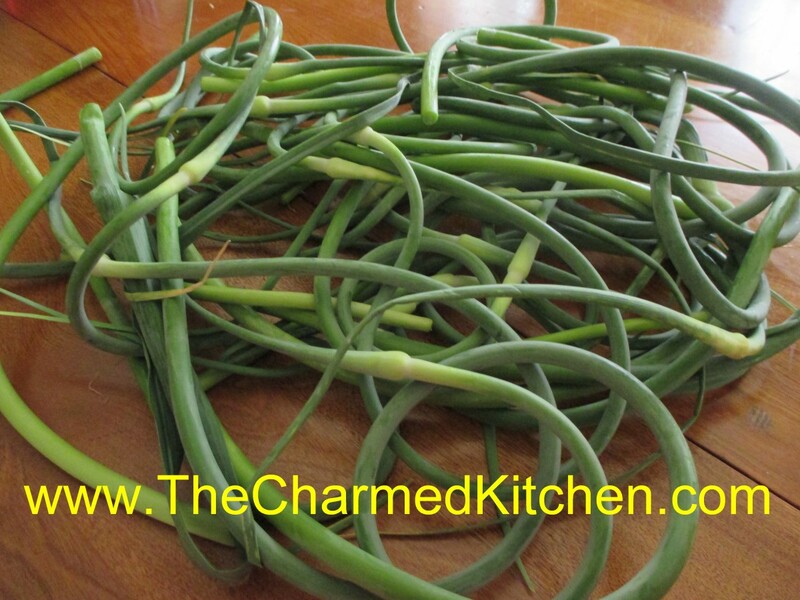 Garlic scapes are the green tops of garlic, removed to produce bigger heads. 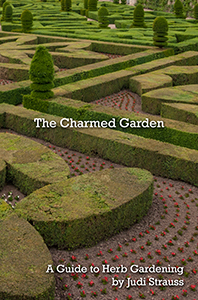 They look like curly green onions. My friend found the flavor of raw scapes too intense for her. I told her about cooking them first a little, to tone down the bite. When cooked, they have a texture like green beans and a milder, garlic flavor. Just steaming them 4-5 minutes does the trick. You still want them to have texture. 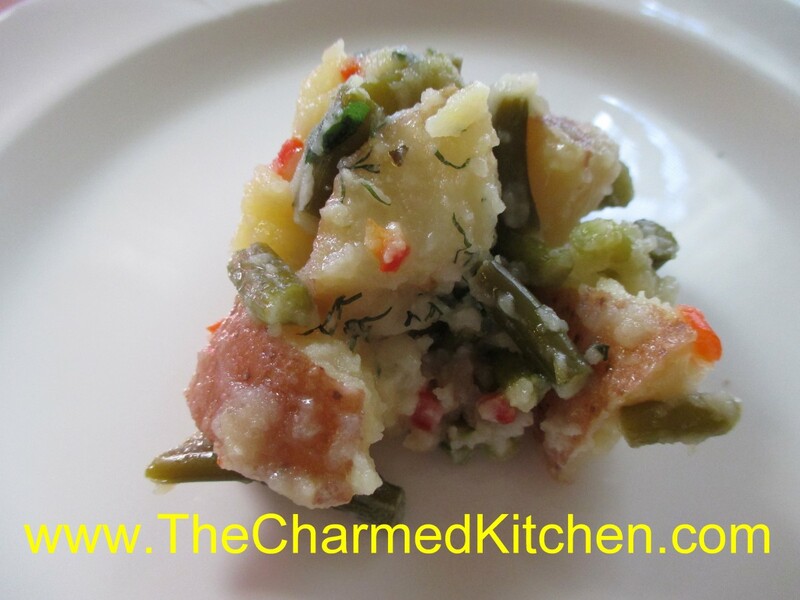 Since she was coming to dinner, I decided to cook some scapes and add them to the potato salad. I used oil and vinegar for the dressing. I also added some fresh dill, parsley and just a little sugar. She loved it. So here is the recipe. I plan on making it again a few times before garlic scapes season is over. Steam the scapes for 5 minutes. Cool a little, and cut into ¾ -inch slices. You should end up with about 1½ of sliced scapes when done. Place in a medium bowl. Cook potatoes until tender. I baked mine in a microwave until tender and then cut into cubes. Baking them is also a nice way to cook the potatoes. You can also opt to cut into cubes first and boil the potatoes. Whatever method to cook the potatoes is fine with me. Take the potatoes, while still warm, and place in the bowl with the scapes. 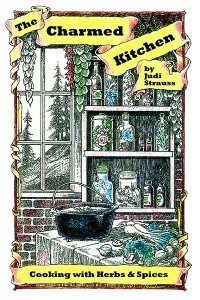 Mix the rest of the ingredients together in a small bowl and stir until sugar dissolves. Pour over warm potato mix, tossing to coat evenly. Adjust seasonings. Chill and serve. Serves 6-8. * You can really use any potato you like.